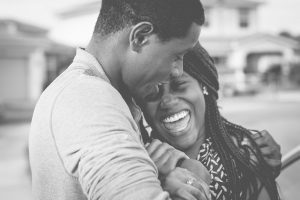 Couples therapy can be very effective for many people who are looking to make improvements in their important relationships. Couples therapy is much more effective when each partner is able to take a long, hard look at themselves and attempt to understand how they are contributing to the current relationship difficulties. It takes two to tango and each partner is responsible for his or her role in the couple dynamic. When couples therapy sessions include open and honest discussions of one’s own role in the process, the stage is set for positive change. When one or both partners continuously fall into the blame game, sessions tend to become angry and defensive and it becomes difficult, if not impossible, to make progress. Imagine that you are preparing for an important meeting at work. You’d surely take the time to gather your thoughts and prepare an agenda. You don’t have to have it all mapped out, but it can be helpful to spend a little time thinking about some goals for the sessions, about the type of relationship you’d like to have with your partner, about some of your own personal obstacles you’d like to overcome in order to be a better mate, about some of the triggers you observe in the dynamic that cause the two of you to fall into your patterns, and so forth. Couples therapy can feel much more valuable if you take the time to reflect on what you’d like to get out of each session rather than showing up each week with your laundry list of complaints about your partner and a play-by-play of each fight you’ve had since your last visit. For couple therapy to be effective, you want to create an environment of respect, openness and vulnerability. Taking these kinds of emotional risks can feel really scary at first, but they really do pay off. In allowing yourself to be truly open and vulnerable with your partner, you have created the conditions for true intimacy. It is a very powerful feeling to allow yourself to see and be seen by your partner. Change is hard work! Some people come to therapy hoping for a quick fix or expecting the therapist to wave a magic wand to make all of the problems disappear. Your couple therapist is more like a consultant than a fixer. Your therapist can ask the right questions, make observations and suggestions, and help you develop new ways of relating to one another, but in the end, it is up to you and your partner to work together to implement this change. You are probably only spending about one hour per week in therapy…so those other 167 hours between sessions have to count. If your therapist assigns you homework between sessions, do it! It can also be helpful to read and do some additional exercises with your partner. Two books that we often recommend are John Gottman’s “The Seven Principles for Making Marriage Work” and Sue Johnson’s “Hold Me Tight”. Both are excellent resources for couples wanting to improve their relationships. After being with your partner for a long time, it is very easy to fall back into your customary patterns of relating to one another. It takes a lot of conscious effort and practice to learn how to communicate with one another in a new way. Don’t expect it to come naturally at first. Like with any new skill, it takes time and practice before you get the hang of it. Be patient with one another and keep at it! After a period of time, you will notice some improvements in your relationships – maybe you are laughing more together, are experiencing less conflict, and hopefully have a greater appreciation of one another and an increased sense of well-being in the relationship. Even when you are beginning to see positive change in the relationship, it can be helpful to maintain periodic visits with your couple therapist to check in on how each of you are feeling in the relationship and ensuring that you are both feeling on track. Once you have gained traction in maintaining positive change, you may want to consider reducing the frequency of sessions but continuing with perhaps monthly check-ins until you both feel confident that the changes are sustainable.